It reached over 80 degrees yesterday. I was shivering the day before and now it's hot! The dogs are panting and I have the fan turned on in my office. Go figure! 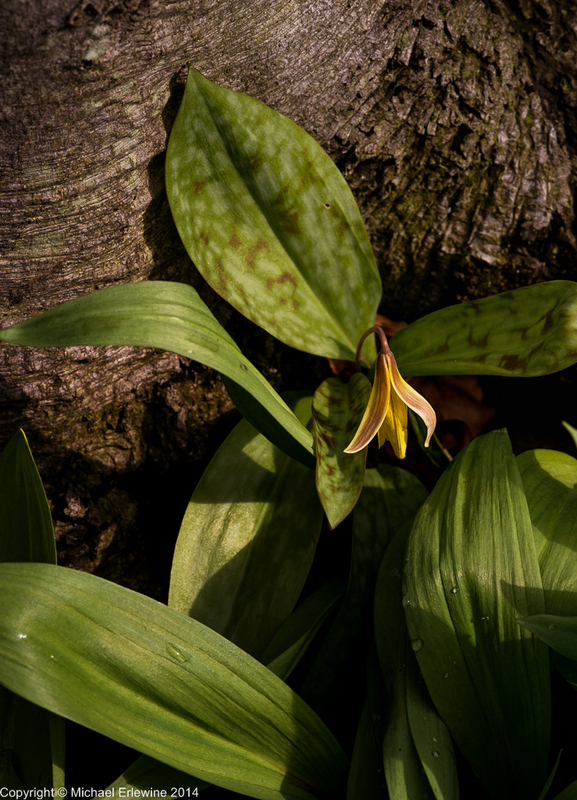 Here is a photo taken yesterday of a Dogtooth Violet (also called Trout Lily or Adder's Tongue) sitting at the base of a Beech tree. Meanwhile, large solar flare spike yesterday. Managed to have a branch hit my eye and scratch it. Blurred vision, so spent some time at the ophthalmologist getting checked out. Should be OK after a few days and with the help of antibiotic drops. Inside I am good. The mind seems smooth, refined, focused beyond focusing. Very quiet.